Brothers and sisters of doom and the true path! 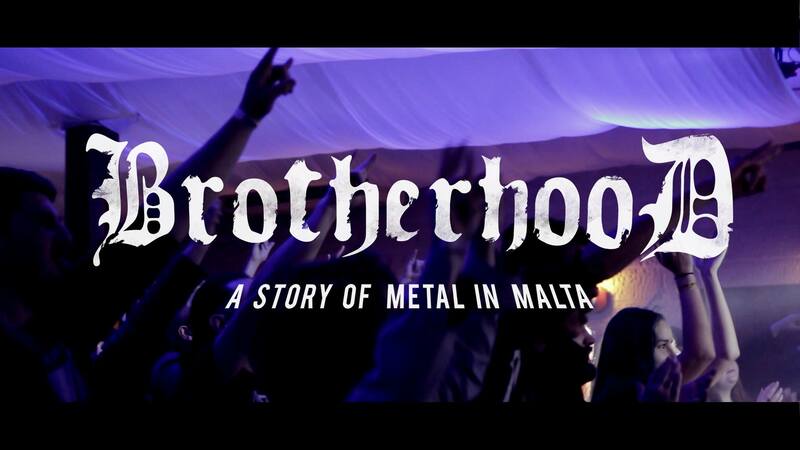 We welcome you to the 9th edition of the Malta Doom Metal (MDM) festival. Who would have thought when we first held the Festival way back in 2009 that we would be hosting this mammoth 9th edition with plans already afoot for our 10th anniversary next year! It’s been a long and often tiring voyage, but we have somehow managed to steer through some very murky and obsidian waters to bring you myriad memorable shows from some of the finest bands around every year since the Festival’s inception. And this year is no exception. 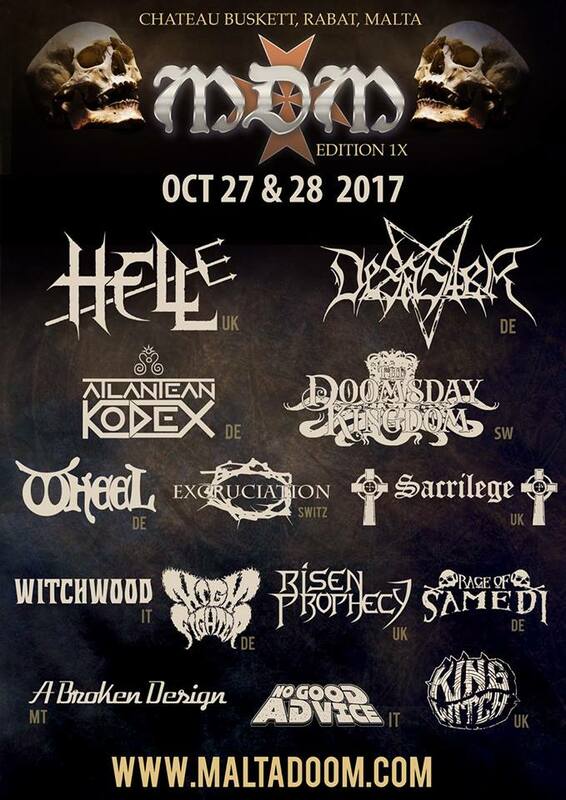 Our headliners this year are among the foremost in their respective genres, with HELL (UK) underscoring their pedigree as one of NWOBHM’s most trailblazing acts and Germany’s DESASTER carrying the mantle for unbridled and supreme black/thrash metal with pride and conviction over their manifold releases and blistering shows worldwide. Doom father Leif Edling’s THE DOOMSDAY KINGDOM (SE) and Teutonic epic metal titans ATLANTEAN KODEX are also most certainly forces to be reckoned with in their own right and we are sure that their shows at MDM IX will remain forever engraved in your doom and metal laden hearts. As you all know MDM is all about celebrating all the diverse hues of doom metal and what we consider to be associated styles (from NWOBHM to old school death, thrash and black metal). This has been our mission from Day 1! We have left no stone unturned this year to ensure that this year’s line-up encompasses and epitomises this vision. It is thus with great pride that we thus also bring you some of the finest old school death doom vibes out there via Switzerland’s EXCRUCIATION (est.1984), the intricate 70s prog doom and organ driven grooves of WITCHWOOD (IT) and Germany’s WHEEL – with the latter considered by doom metal connoisseurs as strong challengers to any band that bears the proud mantle of epic doom champions. Traditional or what I personally prefer to call “pure doom” will be duly represented by Scotland’s KING WITCH – undoubtedly one of Britain’s surging bands and a name to look out for in the future, while the two-fold Teutonic attack of HIGH FIGHTER and RAGE OF SAMEDI will provide the requisite ambrosia for those who love their doom down and dirty with a very unhealthy dose of beer laden sludge infused rifferama. 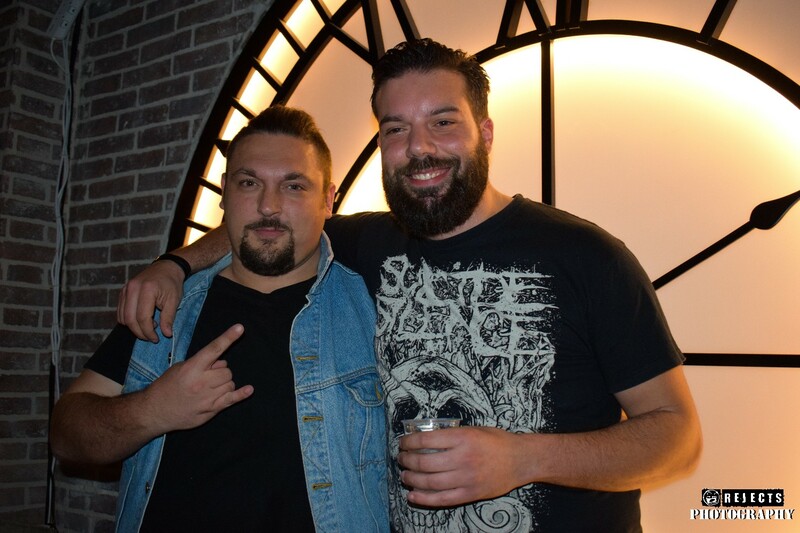 Italy’s NO GOOD ADVICE and Malta’s A BROKEN DESIGN will surely continue to up the ante with some awesome and very soulful stoner rock grooves, while all the thrashers out there will certainly enjoy RISEN PROPHECY’s (UK) uncompromising power-thrash metal – a must for all those who worship the true foundations of thrash. We are also proud to host my friend Bill Beadle’s SACRILEGE (UK) this year – formed in 1983 – SACRILEGE possess all the elements that make NWOBHM – great songs, memorable hooks, riffs and melodies and a band to headbang and raise your studded wrists to! So the scene is set. Let the proceeds begin! Let MDM beacon your path to doom and metal nirvana!